Full Professor of Economics and Head of the research group in Econometrics and Empirical Economics, University of Hohenheim. She received an M.Sc. in Economics from the University of Mannheim, Germany, in 2004. 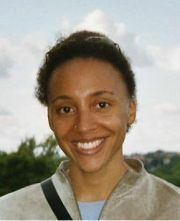 She was a PhD student at Johann Wolfgang Goethe-University Frankfurt and at Albert-Ludwigs-University Freiburg, Germany. Her main fields of interest are Applied Microeconometrics and Labour Economics. In particular, she has done research on the dynamic evaluation of training programs for the unemployed. Ronke Osikominu joined CReAM in September 2008.